TAP Air Portugal is in the midst of a serious fleet overhaul right now with Airbus A330-900neo and A321neo LR aircraft being brought in to take over from aircraft whose cabins saw their best days some time ago. The Business Class cabins on the new aircraft are a significant step up from what TAP has historically offered and, fortunately for premium cabin transatlantic flyers, the airline plans to use the new aircraft on its routes to the US. From 1 June 2019 TAP Air Portugal will swap out the old Airbus A330-200 which currently operates the Porto – Newark route with a new A321neo LR and increase frequencies from 2 to 6/week. 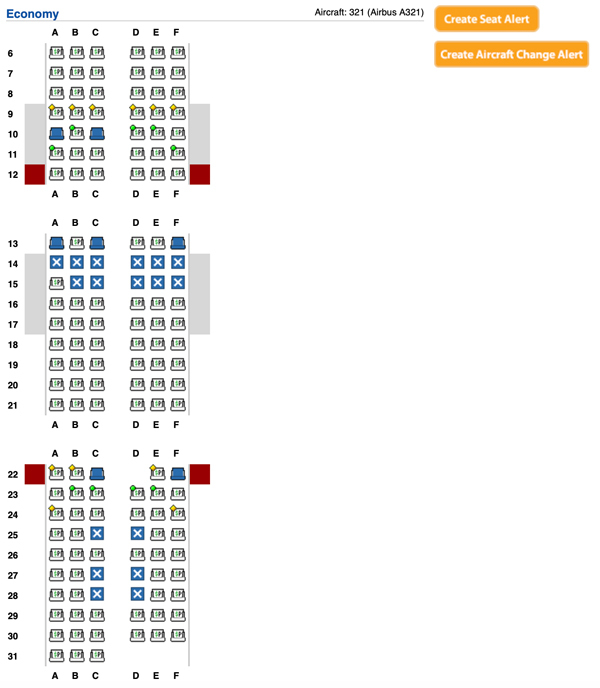 This is the same layout that you’ll find on the Aer Lingus 757s….. Admittedly JetBlue offers door on its solo/throne seats which TAP almost certainly will not but, essentially, we should see something very similar when we get our first look inside the TAP Air Portugal A321neo LR. In Economy Class we now have an answer to a mystery that we have been waiting to clear up. The TAP Air Portugal A321neo LR is only being fitted with 168 seats in total so the Economy Class cabin will offer just 152 seats….and that’s not a lot of seats for an aircraft of this size. On the A330-900neo TAP offers a “Preferential Area” within the Economy Class cabin which offers passengers more legroom…. ….so a lot of people have been wondering if TAP plans to do the same on its A321neo LRs. Presumably these seats aren’t just preferred because they’re closest to the front of the aircraft but, just like the preferred seats on the A330neos, they come with a few more inches of legroom too – that would go a long way to explaining why there are fewer seats in the Economy Class cabin that might otherwise be expected. TAP already offers 10 weekly flights to New York out of Lisbon (split between JFK and Newark) so the addition of 6 further weekly flights to Newark out of Porto will see the Portuguese carrier offering a significant amount of seats to New York from June. More importantly, the Business Class cabin should be good for what is a comparatively short flight across the Atlantic and Economy Class passengers will have the opportunity to buy up into seats that offer a good amount of legroom towards the front of the aircraft – passengers can be as comfortable as their wallets allow them to be. Personally I would still choose to fly the A330-900neo between Lisbon and JFK if I needed to fly between New York and Portugal but if a great fare came up for travel on the A321neo LR I’d be unlikely to turn it down.